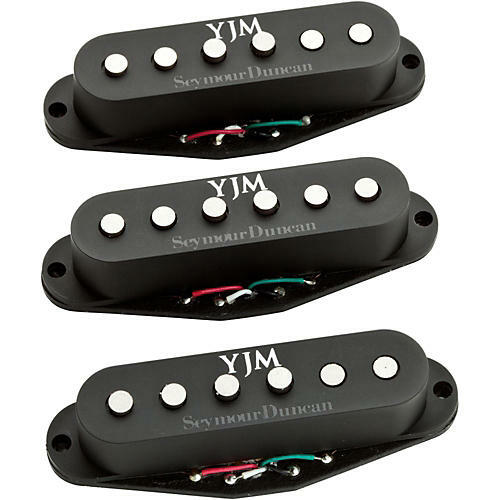 The YJM Fury Stack hum-canceling single-coil-sized pickups are based on Seymour Duncan's original Stack pickup design. The YJM Fury pickups will directly retrofit most single-coil equipped guitars. Though originally designed for a Fender trat with a scalloped maple fingerboard, the YJM Fury will work well with any bolt-on guitar that utilizes traditional single-coil-size Strat pickups. The YJM Fury is the same pickup that Fender installs in their YJM Strat guitars.